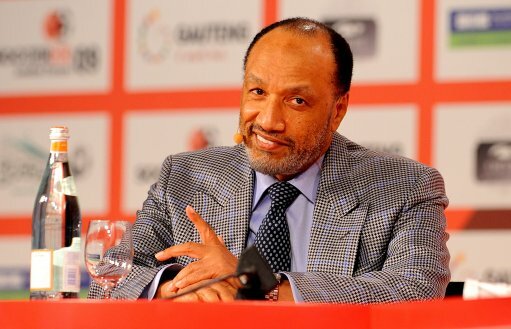 FIFA ExCo member and grand high wizard of the Asian Football Confederation Mohamed Bin Hammam has called for FIFA president Sepp Blatter to stand from his post, claiming that 35 years in the job may – just may – have left ol’ Unkie Sepp susceptible to the odd bit of corruption hither and thither. “Everybody is going to accuse us today as corrupted people because maybe people see Mr Blatter has stayed a long time at FIFA. “Thirty-five years in one organisation is quite a long time. No matter how clean you are, honest or how correct you are, still people will attack you. You are going to be defenceless. It should come as little surprise that Bin Hamman’s coincide with growing speculation that he is preparing a challenge to Blatter for the FIFA empire at the next election in June. “I have not made up my mind yet, I would rather wait and see. I’m actually seeking to see competition within FIFA for the post. “I would prefer to see two candidates proposing themselves, or maybe more than two proposing themselves to the congress of FIFA. Competition is good for the organisation, whether president or any other posts. I think you’ll find the best way to keep the FIFA council ‘vibrant and alive’ (quite literally) is by bandying around swathes of unmarked cash to be set aside for ‘personal projects’. I hope to God, that once Sepp Blatter leaves, Fifa will vote on some sort of accountability rule to limit presidency to two terms at most. Blatter is a dictator. I would put more trust in Jack the Ripper over Blatter, Warner and the rest of that crew at FIFA.